This is a sports and business tale of how money, ambition, and 25 years of drama remade an ancient institution into a 21st-century entertainment empire. 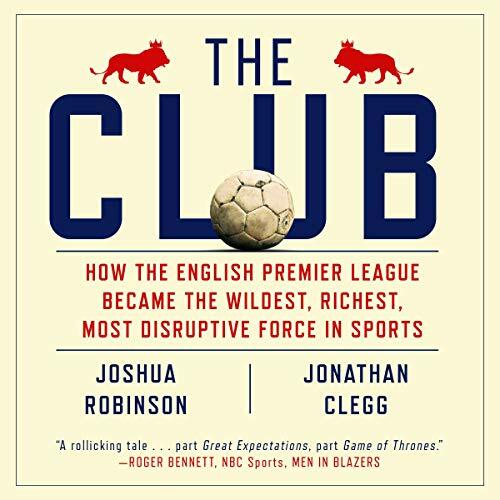 Deeply researched and drawing on 100 exclusive interviews, including the key decision makers at every major English team, The Club is the definitive and wildly entertaining narrative of how the Premier League took over the world. Love the anecdotes and history, which are well-written. It takes a lot for me to write a negative review, and as a life-long anglophile, I'm sorry to say this narrator's sing-song style is hard to listen to and detracts from the material. Would recommend reading the book instead. I was hoping this would help solidify my understanding of the EPL and what makes it tick. Instead, I learned about specific details dating back 20+ years. I am sure this is a great book for the diehard soccer fan. As for me, I will keep searching for a better understanding of the EPL. As an American who got into the EPL four years ago and a big Liverpool fan, I thoroughly enjoyed this book. Lots of great facts and fun stories.